Trademark Registration Bolivia is one of WDALAW’s preferred markets. We are leaders in Trademark Registration in Bolivia since 1998. 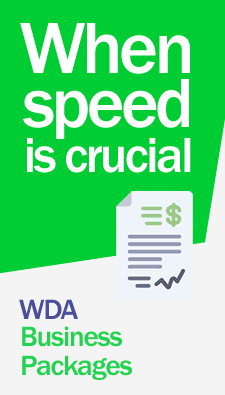 Register your trademarks in Bolivia through WDA LAW and have the peace of mind that comes with choosing the best firm. Our lawyers will register your trademarks with customized assistance 365 days a year. Contact us now! The government agency in charge of keeping a public record of registered trademarks and patents in Bolivia is the SERVICIO NACIONAL DE PROPIEDAD INTELECTUAL (SENAPI). This is the same institution that handles copyright matters. Denominative, figurative or combined Trademarks for goods and services can be registered in Bolivia. Goods and services to be protected in a trademark application should be classified in accordance with the International Classification of goods of Nice. 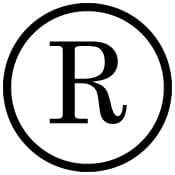 Rules on trademarks, patents, and copyright are provided by ruling law on Trademarks dated January 15, 1918. As well as by the Supreme Decree 20791 dated May 10, 1985, and supplementary articles 138-151 of decision 486 from the Cartagena Agreement. This agreement was enacted to protect the industrial property rights of corporations and individuals in this jurisdiction. Bolivia is a member of the Paris Convention hence, foreign applicants should appoint a local attorney with a legal domicile in Bolivia to deal with applications and actions that may be issued by SENAPI regarding your application. Upon completion of a successful application, a trademark certificate is granted for a 10-year term, renewable for the same period. For information on costs and professional fees for registering a trademark, commercial name or patent in Bolivia. Contact us now! 1.- Availability search of trademarks and study of the feasibility of registration. 2.- Filing of Bolivian Trademark, Commercial names, patent, industrial design applications. 3.- Renewals and Patent annuity payments, updating owner-related information, amendments; license registration. 4.-Administrative process against or in defense of trademarks and patent applications such as oppositions, nullity or cancellation actions lodged by third parties. 6.- Litigation process for infraction of Bolivian intellectual property rights; anti-counterfeiting, copyright law litigation.